Who says you can’t travel with all the comforts of home? Summer in Australia is fast approaching, and the Gold Coast is the country’s top coastal destination. An iconic Australian beach city famous for surf, sand, and sun. And when it comes to choosing accommodation, we highly recommend an apartment; something which offers you ample space to lay out after an exhausting (but exhilerating!) day, and facilities that make a beach getaway easy; like your own laundry, kitchen, and a private balcony. 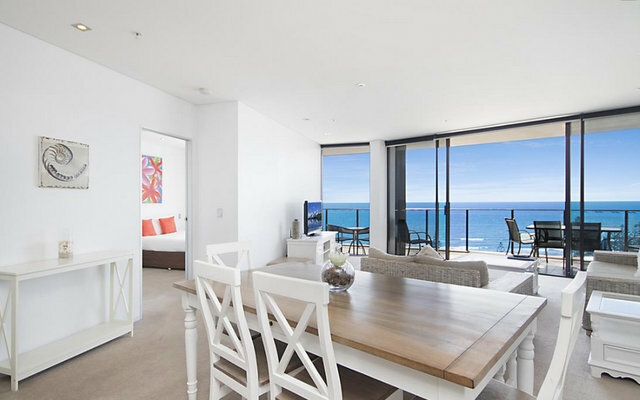 One of our favorites for contemporary self-catering apartments is Ambience on Burleigh Beach, in a convenient beachfront location between Surfers Paradise and Coolangatta. Fronting what is easily the best beach on the Gold Coast, it’s also a great base for more theme parks than you could ask for, as well as access to Queenslands most beautiful national parks. Deal Sold Out: Save up to 53% off your stay at Ambience Burleigh Beach with package deals from Luxury Escapes. Stay in a stylish beachfront apartment, complete with a kitchen and private balcony, a complimentary bottle of wine, late checkout and savings on exciting local experiences. ➡ Check rates and availability. 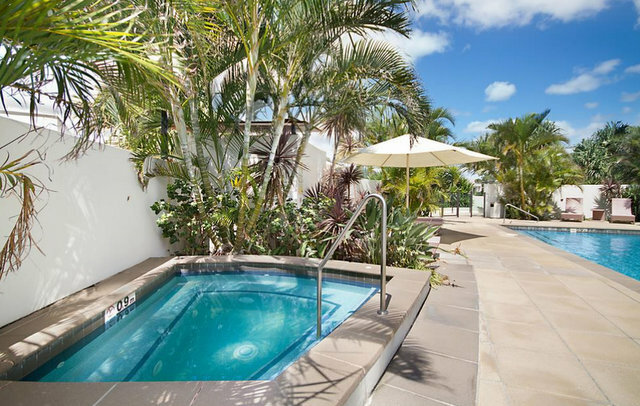 With one, two, and three bedroom options, the apartments at Ambience Burleigh Beach are a fabulous choice whether you’re traveling for a romantic getaway, a family vacation, or with a group. All offer nice sized balconies, which allow the sound of the ocean to filter through. 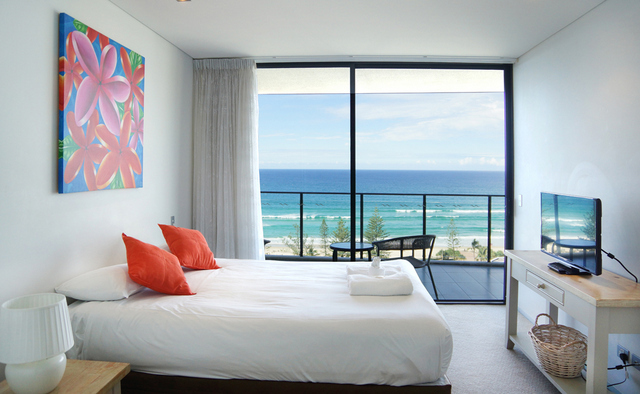 Take advantage of an ocean view room for uninterrupted views of Burleigh Beach below. All apartments are fully equipped with everything you need to make it a home away from home. You can pack light on clothes as you have a washer/dryer and a fully equipped kitchen means you can save time and money from not having to go out to eat every night. A grocery store is situated just a five minute walk from your room. You’ll also have access to a heated pool, spa, and sauna. Enjoy the fresh air even more with barbecue facilities and outdoor dining areas at your disposal. Work off your meals via the fully equipped gym or take up some surfing at the lifeguard patrolled beach just across the street. As if the beaches, rainforests, and waves weren’t enough fun, the Gold Coast offers numerous A-class theme parks. Dreamworld is Australia’s largest. Offering over 40 rides and 5 roller coasters, it is definitely the place to get your adrenaline going. Similar to Disneyland, it is divided into several magical lands which showcase different rides, shows, wildlife, food, and shopping. 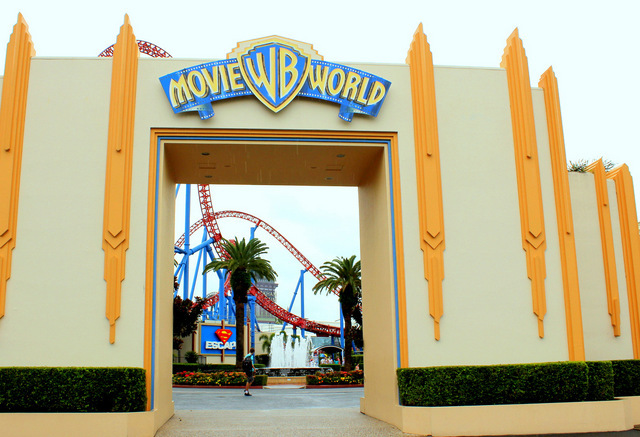 Warner Bros. Movie World gives visitors a chance to transport themselves into the life of the films we have all come to love. Movie themed rides, shows, 4-D experiences, and movie characters themselves are all sure to bring smiles to any age. You know you’re in for some terrifying thrills with rides named Kamikaze, Tornado, and Blackhole when you visit Wet’n’Wild. The Ocean may be powerful, but nothing compares to plunging down a sheer vertical drop at speeds of 50km/h or being sucked into pitch darkness through a water filled tube. Less courageous visitors can take in less death defying rides or simply lounge by the pools. The newest to hit the scene is WhiteWater World which offers some of the world’s hottest and most extreme waterslides. The $50 million+ park has exceeded expectations for popularity due to the innovative and creative designs of its attractions. The Gold Coast region is a haven for outdoor recreation. You could play a round of golf at a different course every day for weeks. If rock climbing or abseiling is more your scene, check out Burleigh Heads National Park. Take to the water to enjoy jet powered fun via jet skis, jet boats, and jetpack flyboards. Of course you also have incredible waves for surfing, along with clear waters for snorkelling. With over 2300 state, local, and national parks to choose from, you’ll never run out of things to do if you enjoy spending time in the outdoors. 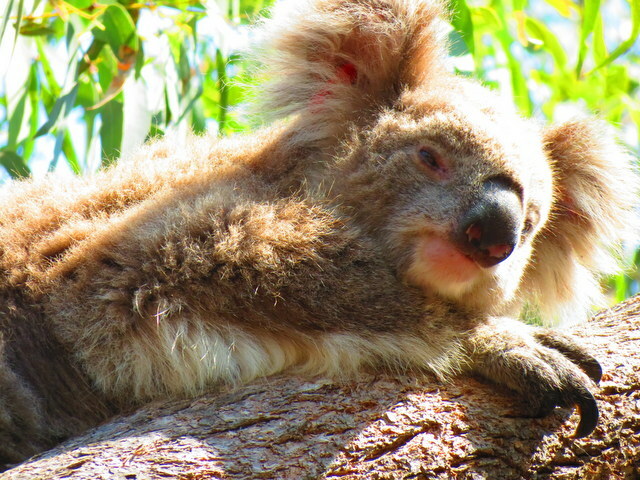 The Gold Coast is also brimming with native wildlife, and places like Currumbin Wildlife Sanctuary offer visitors the chance to experience and interact with Australia’s most iconic creatures. Cuddle a koala, pat a wombat, and even take a dingo for a walk. Watch vets in action as they care for animals at the onsite wildlife hospital along with taking in entertaining as well as educational shows such as the free flight bird show. Test your nerves as you zipline over Australia’s massive crocodiles. A visit to the sanctuary is bound to leave a lasting impression. For a more secluded and natural experience you can take in one of the many national parks in the area. Burleigh Heads National Park lies right outside your apartment door. The park provides a nice leisurely stroll along recently upgraded paths that are pram and wheelchair friendly. Encounter brush turkey, bearded dragons, or even possibly spot a whale from one of the parks great lookouts. Lamington National Park and nearby Springbrook make up part of the Gondwana Rainforests of Australia World Heritage Area. They offer visitors a chance to step back in time to explore lush rainforests that aboriginals once lived in for 6,000+ years. The area is so rich in rare and endangered flora and fauna that it even attracted the attention and a visit by the great David Attenborough while filming his Life on Earth series. Platypus, lyrebirds, bowerbirds, and colourful birdwing butterflies can all be spotted here. In addition to the wildlife you have waterfalls, volcanoes, and natural arch bridges to explore. In addition to having a wide variety of great restaurants and bars, the Gold Coast also offers some fun and unique ways to get some tucker. Head to the Australian Outback Spectacular for an evening meal paired with Australian music, action, and stories that will give you a real sense of the true Aussie spirit. The venue is set up with incredible detail so as to recreate the true Australian landscape right down to the corrugated iron roofs. Be sure to get there early to experience a classic Aussie Pub which opens an hour before the show starts. For something truly different, try sinking your teeth into Dracula’s Cabaret Restaurant where you’ll get more than just a great 3-course meal. Comedy, rock, and horror come together for a night that will leave you speechless, breathless, and feeling full. You are sure to have never been served by waiters and waitresses like the ones you will encounter here. Be sure to also check out Tropical Fruit World to sample some exotics from the world’s largest variety of tropical fruit. For even more sweetness head to Superbee Honeyworld where you can learn everything there is to know about bees and taste some of the finest honey which is exported to dozens of countries worldwide. Check for Deals on Luxury Escapes! Photo credits: Property photos by Ambience on Burleigh Beach. 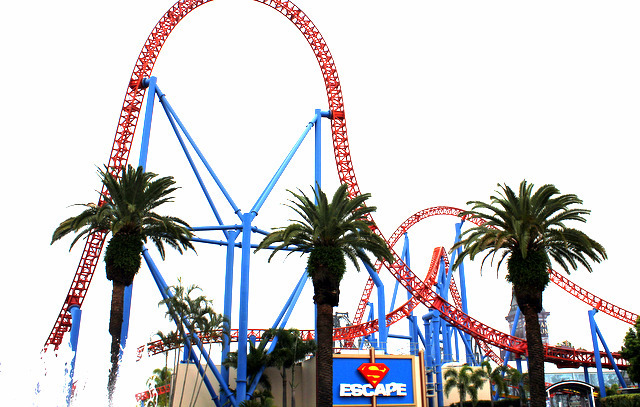 Movie World Gate & Superman Escape by Holidy Point. Okay, I think I could happily move in there for a while so I could really spend time exploring the gorgeous area. The blues of that water and sky are stunning but the animals are enough to make me want to visit. I was in Australia a few years ago and one of the highlights was holding a koala. I would like to come back and do that again – and spend time in one of those beautiful apartments! The region truly is one of the best in Australia, in terms of access to nature and wildlife that is. You’ve got the beach, the rainforest, and then a range of iconic Australian wildlife which people travel specifically to see. Love QLD so much – hope you do have the chance to visit again soon! This post makes me nostalgic. 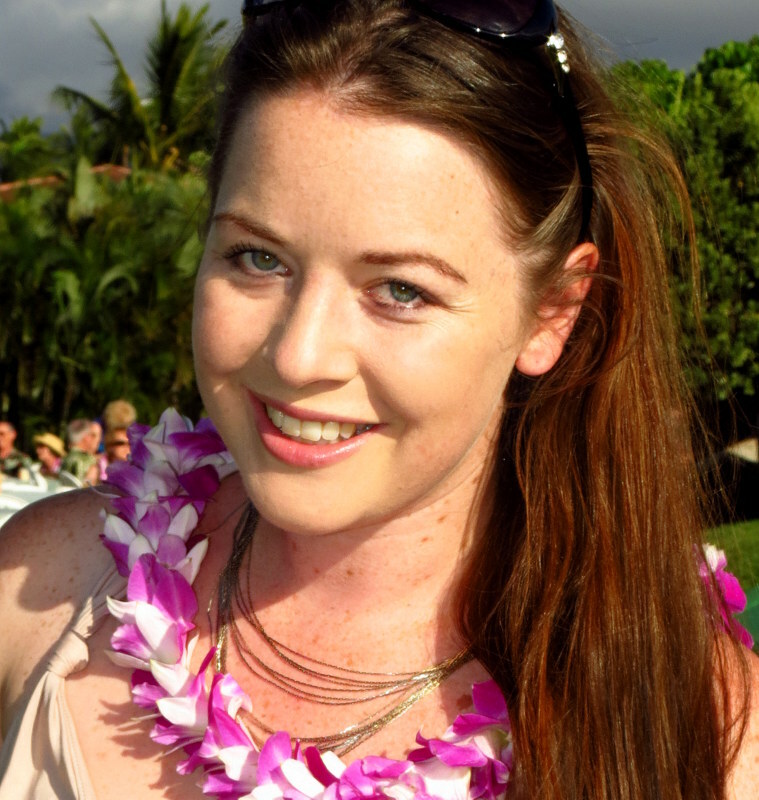 I think I was 17 the last time I visited the Gold Coast. It’s a great area but so incredibly expensive, but I guess that comes with the territory of being a tourist hotspot. I probably prefer the Sunshine Coast because it’s far less crowded. I also love staying in apartments when I travel, it makes it feel a lot more homey. Expensive does unfortunately come with the territory of being a tourist hotspot – which is why I keep my eyes peeled for awesome deals like these – Luxury Escapes is a great website to watch, they have new deals every week, usually at rates around 50% + off. Definitely recommend subscribing and following their social media channels to hear about new deals. 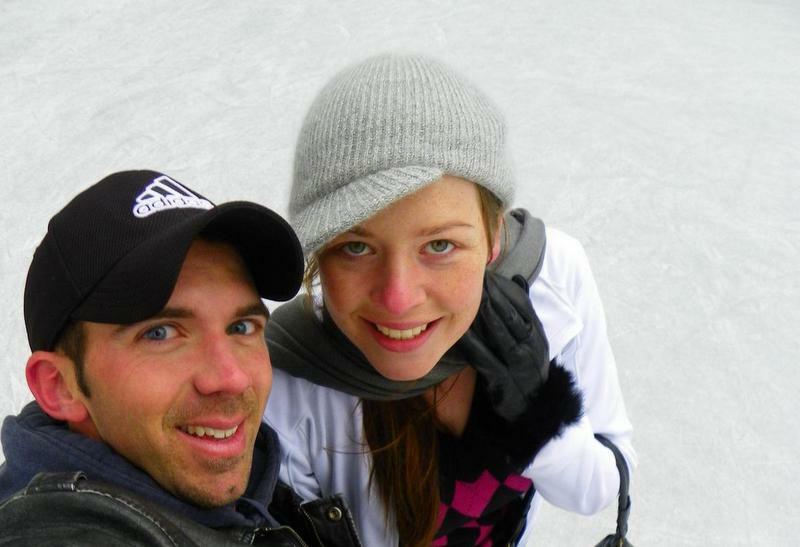 Glad you enjoyed your original trip to the Gold Coast! So much to explore there. Good number of days are required to stay and experience all of these. Koalas and Kangaroos are virtual animals for me till date… hope to meet them in real some day. I am also tempted by the unique food experiences. Absolutely – can definitely recommend staying at least a week on the Gold Coast to fully explore and do the region justice. I hope you have the chance to travel soon, to walk on our beautiful beaches, and meet Aus wildlife face to face! These apartments look great! Like you said, it’s so great to be able to do laundry and cook during an extended stay. I also like that there are so many room options and that it’s so close to the beach and theme parks. Can’t wait to visit the Gold Coast! Australia is beautiful; so is Ambience Burleigh Beach apartments. I like that it has, from the rooms to activities,something special for each age group. A multipurpose location is all one can ever dream of and those parks are amazing. Absolutely Lydia, the Gold Coast is a fabulous destination for all ages :) Hope you have the opportunity to visit soon! OMG, that view!!!! Would be difficult to drag me out of that bed!! Sounds Gold Coast is a must for my type when I do visit Australia. Sure hope I can visit soonish. Right! Can’t beat a bed with an Ocean view!! The Gold Coast literally has everything you could ever dream of from an iconic Aus escape – beaches, wildlife, nature, entertainment, thrills – hope you have the chance to travel soon! 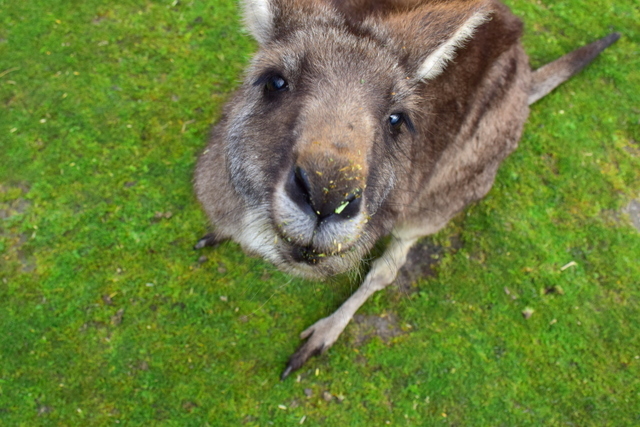 I would love to visit the Currumbin Wildlife Sanctuary. I want to see all the amazing wildlife of Aussie Land (although far too many things see to be able to kill you there). I also want to visit the Lamington National Park. I like learning about the history of the early people. Plus that hotel has an amazing view. I’ve visited Gold Coast as a kid and ashamed to say I’ve not returned since. That said, Gold Coast and Australia is my favorite place in the world. I liked it a lot more than the US, actually :p I have been to some wildlife sanctuary in Gold Coast, just can’t remember if it’s the same one but I remembered patting and playing with the cute animals. I’m dying to do it again! The apartment you showed look gorgeous and the perfect accomodation for traveling with kids and family! Probably would be the same wildlife sanctuary – Currumbin has been open since the 1940’s, it’s forged quite a name for itself as an icon of the region. Longer travel. The idea that it has a kitchen will surely save you a lot. I also would love to see a Koala and Kangaroo. How I wish to visit Australia soon!